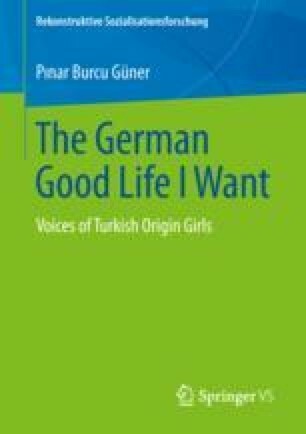 The main focus of this doctoral dissertation was to explore the experiences of inequalities and the expectations of a good life of girls of Turkish origin living in Germany. Essentially, the research focused on identifying the gaps and analyzing inequality through girls’ interpretation of a good life in Germany. A pilot study was conducted in order to redefine the research design, research questions, data collection methods and methodology. The pilot study had identified that focus groups provided a rich amount of data but were not enough to analyze the experienced inequalities and the individual agency of the participants.